Nicky was born in 1972, grew up in Surrey and studied law at Oxford University. She worked as a solicitor specialising in Corporate Law advising a range of private and public companies from 1994 until 2010. She fought the Loughborough seat for the Conservatives in 2005 and won it in the general election of 2010. 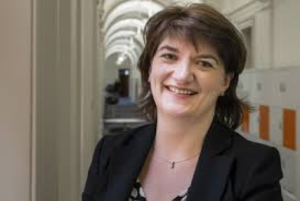 Nicky subsequently became a minister in George Osborne’s team and served as a Government Whip. In parliament she worked as Parliamentary Private Secretary to the Rt. Hon. David Willets MP who was Cabinet Minister at the Department of Business, Innovation and Skills, becoming a member of the BIS Select Committee. In April 2014 Nicky was appointed by the Prime Minister to become the Financial Secretary to the Treasury. Her other interests in parliament include mental health, cost of living issues for families, transport and small businesses. She lives in Loughborough with her husband, Jonathan and their son.